Use your imagination and you can see a bird sitting on a rock in this natural gold nugget from Alaska. 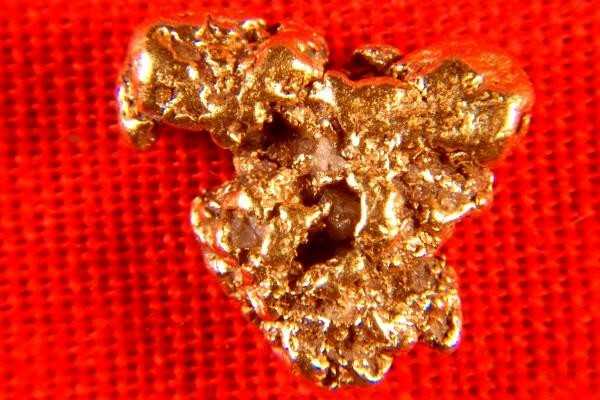 It is a really super nice Alaskan gold nugget and it is very rare and unusual to find gold nuggets in such distinct shapes like this. 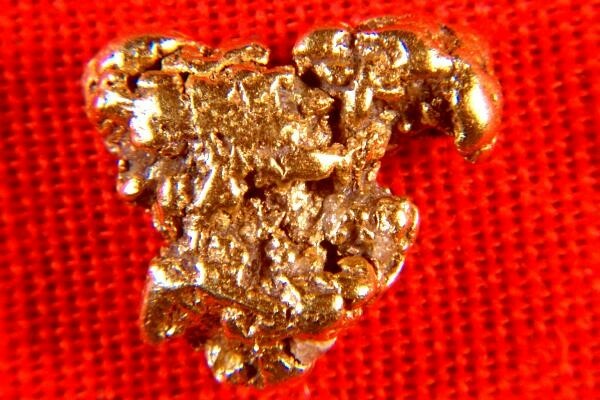 This Alaskan gold nugget is 3/8" (9 mm) long and the weight is 13.1 Grains (0.85 Gram).